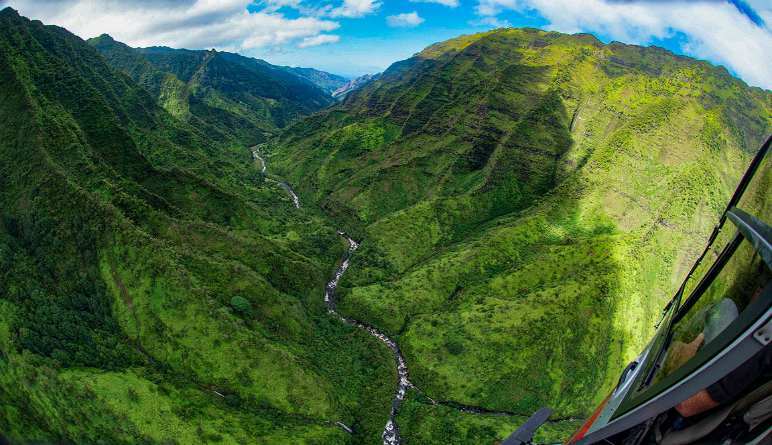 Soar above Maui’s famous volcano, waterfalls and the Hana Rainforest with the best view possible. 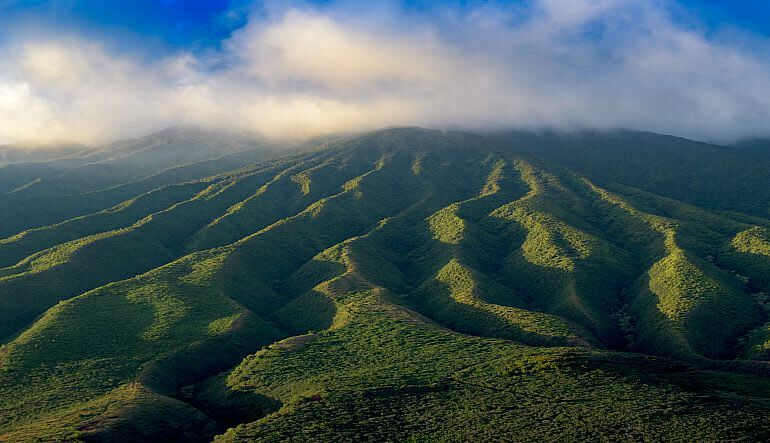 Soar above Maui’s famous volcano, waterfalls and the Hana Rainforest with the best view possible. Take an exhilarating helicopter tour to the most isolated areas of the island. Nothing can compare to the jagged cliffs, amazing waterfalls and large lava flows only found in the Hana Rainforest in Maui. The Haleakala National Park, which you’ll fly right over, is home to the world’s largest dormant volcano capped by a moonlike crate. 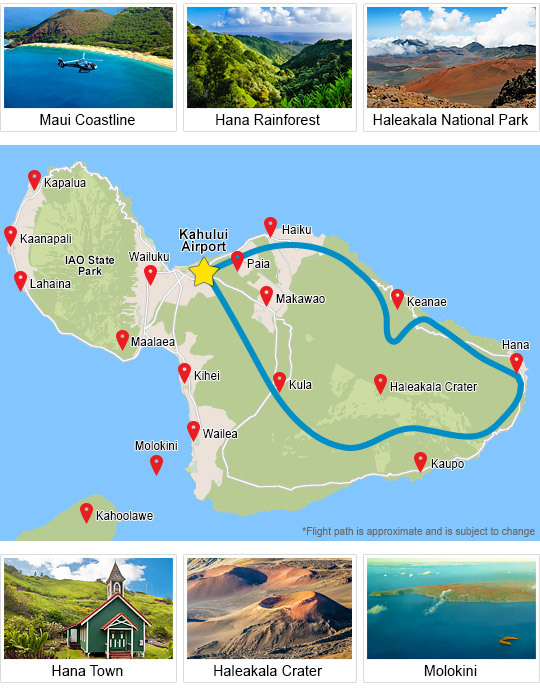 Highlights include views of Haleakala Crater, Old Hana Town, the Manawainui Valley and the breathtaking Maui coastline. Breathtaking is a word we don’t throw around lightly – but this tour truly deserves to be called breathtaking. 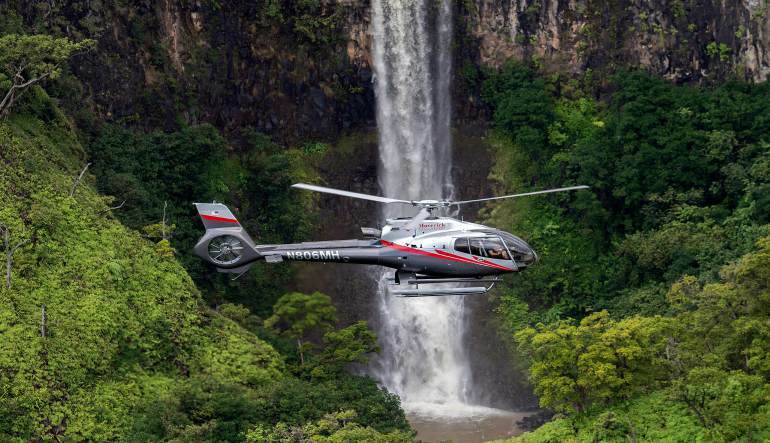 Book a 5-star Maui helicopter ride today!